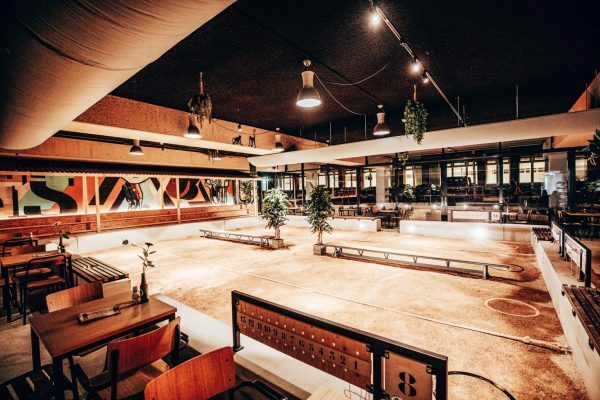 There is a JEU de Boules Bar in Utrecht and it’s awesome! 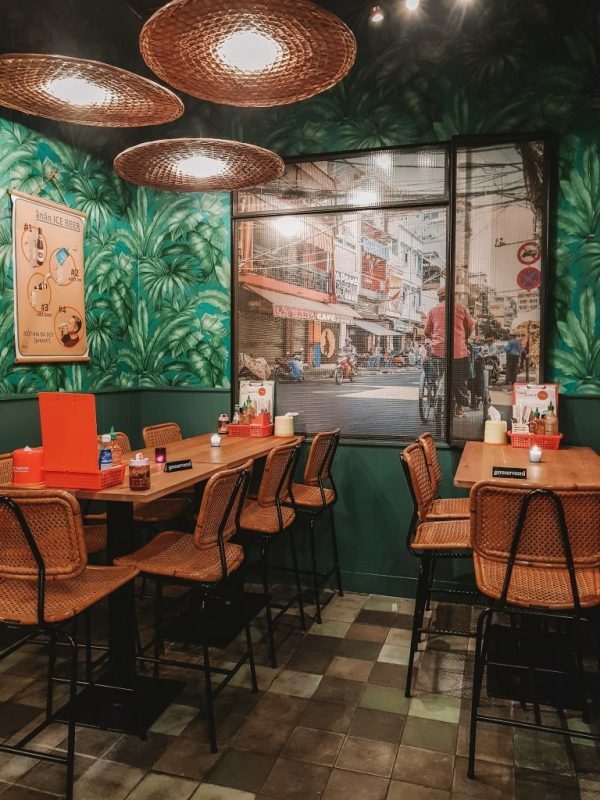 With its bites, boules and beers, JEU De Boules bar is the latest hot spot to hit Utrecht. 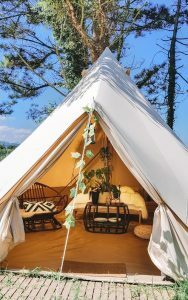 If you are looking to unwind, catch up with friends and enjoy a drink or dinner, then you have come to the right place. The set-up is super cool with 11 boules courts, tables scattered around the edges and a top-notch bar. 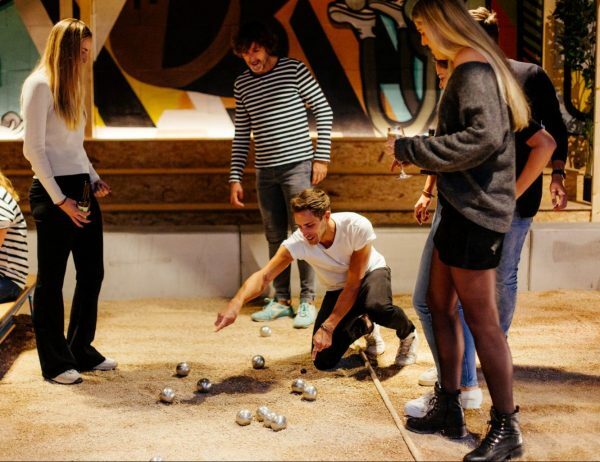 The whole place is made from wood and reminds me of a trendy bowling club – which is not surprising, the current generation have turned the age-old game of boules into a hip sport. As we are playing, the Plank De Petanque arrives for us to nibble on, which is a plank packed with hot and cold snacks and it looks awesome! 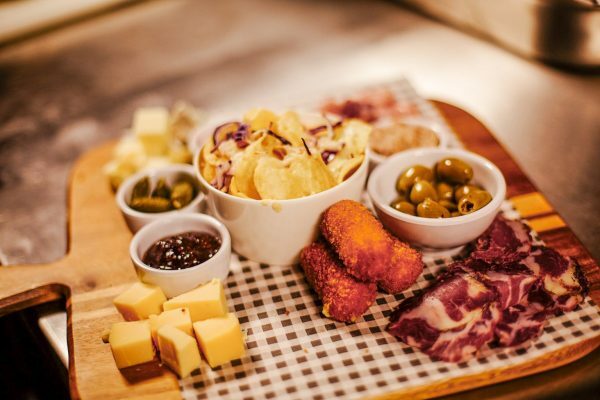 The board is filled with various cheese’s, bitterballen, nachos, bread, meats, onion rings, nuts and olives. It is perfect for sharing and we snack while we play. If you are still feeling peckish after the game, you can order a couple of JEU hot dogs – the Hotdog A La Francaise with mustard, ketchup and sauerkraut and the same hot dog but with a vegetarian dog. They come out on classic checkered napkins and really hit the spot. JEU is located on the ground floor of parking garage Paardenveld and just next to ROOST aan de singel. We will definitely be going back for another game!